Cement Grinding Aid / Cement Additive " Vista Catasoft C88 "
- These are special category of products that are used in grinding clinker & non-hydraulic additives to produce a variety of high quality cements. - Deemax range of high performance products delivers high quality cements, reduced energy consumption, enhanced throughput of mill & better flow characteristics of cement. - Product Data sheets are available on request. We are a unique name in the cement industry to provide our prestigious clients an exclusive range of Grinding Aids. Packing: Available in 250 Kc. HDPE Barrel & 1000 Kg. Container. Specification C 465 as a non-harmful processing addition. Shaligrind 3000 is an amine based material. We are indulged in offering Grinding Aid and used to reduce the energy required to grind the clinker into a given fineness. Our company holds immense experience in this domain and is involved in offering wide assortment of High Performance Grinding Aid. Cement Grinding Aids & Performance Enhancers. Cement Grinding Aid : Grinding Aid that enhances early strength of cement. Reduces/ Remove electrostatic attraction between broken particles in the mill, thus making more energy available for grinding. The product is a grinding-aid for ferrite Industries that requires improved mill performance. The product is a highly ionized salt of an organic base, the resulting electrostatic attraction between broken particles in the mill system is reduced or removed. 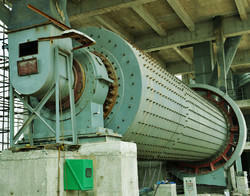 · It Increases the production efficiency of cement grinding plants. · It decreases power and energy consumption.